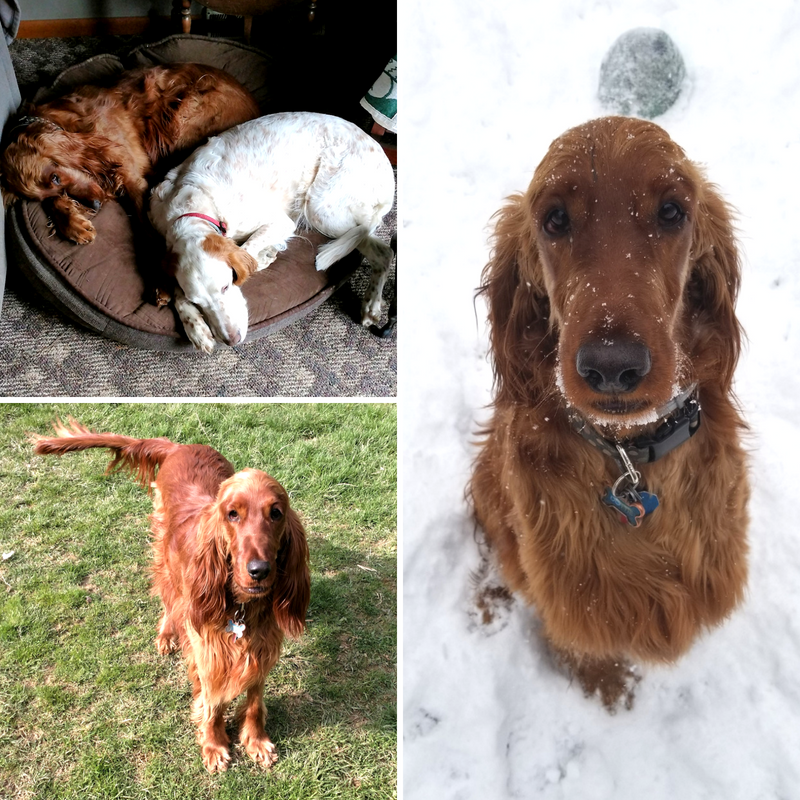 Bringing a pet into her life wasn’t planned, but when Kim Stawicki of Irwin, Penn., came across an online posting for Dottie, an Irish setter who needed a home, she couldn’t resist. All was well, until one day when things took a turn for the unexpected. While playing outside, Dottie suffered a terrifying fall into a heated pond that resulted in her and Kim both being electrocuted. This shocking situation and speedy recovery earned Dottie the title of March’s “Most Unusual Claim of the Month” by Nationwide, the nation’s first and largest provider of pet health insurance. 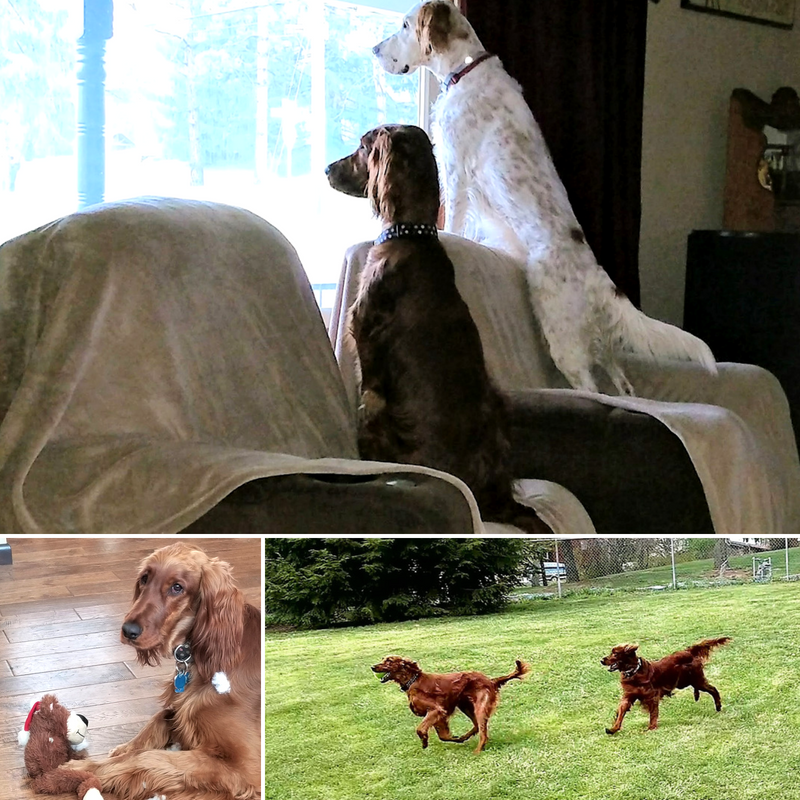 The incident happened about a year after Dottie joined the family, including Kim and fellow pups, Maggie and Pippa. 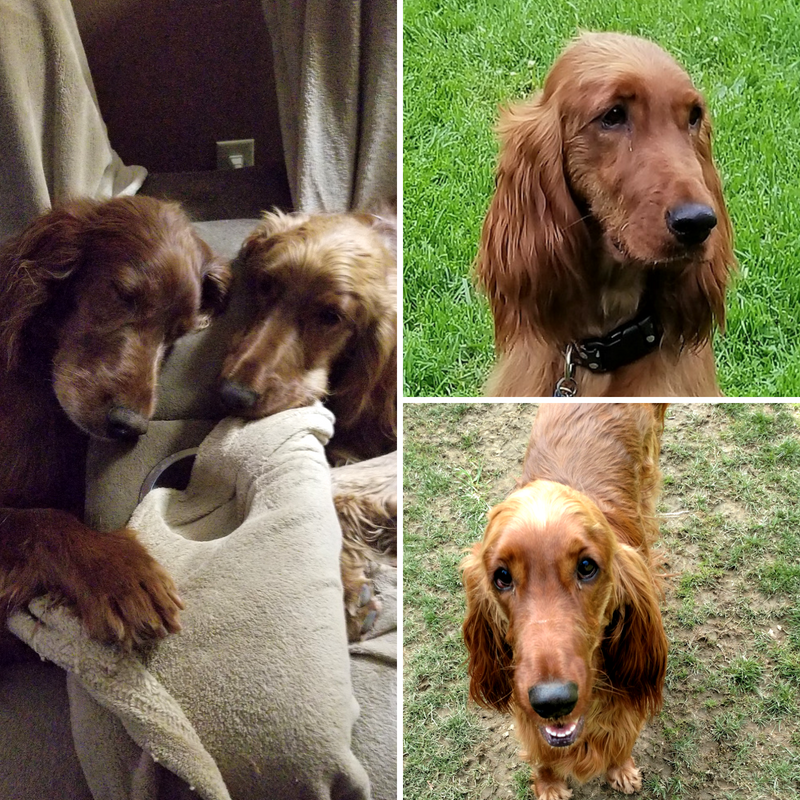 Dottie and her siblings are all well-accustomed to roaming the backyard, and are exceptionally well-acquainted with the 7-foot-wide pond. When the pups are enjoying time outside, Kim can normally find them near the pond watching the fish swim. One day, Kim let the dogs into the backyard and periodically checked on them. As usual, she found Dottie near the pond, enamored with the fish. Kim ran to the pond and jumped in to help Dottie. The moment she entered the water, she felt shocks throughout her body. Pushing through the shock, Kim managed to get both her and Dottie out in just under two minutes. Upon arrival at Allegheny Veterinary Emergency Trauma and Specialty in Monroeville, Penn., Dottie was treated for increased respirations, pulmonary edema, and pneumonia, and put on oxygen support. The staff at the emergency hospital made the decision to keep Dottie overnight in the intensive care unit for monitoring. She was kept quiet and given antibiotics to treat the pneumonia and fever. After being released from the hospital, Kim and Dottie returned home where Dottie continued to be closely monitored with expectations to make a full recovery. Following the traumatic incident, Dottie stayed away from the pond and was cautious to be around Kim, apparently associating her with the shock. As time has passed, though, Dottie has begun to return to her normal self.